Ukraine has been one of Estonia’s development cooperation priority countries for over 10 years. Over the past three years Estonia’s aid has increased exponentially: from 1.2 million euros in 2014 to 2.7 millions in 2015. In the year 2017, the assistance for UA is 2.4 million euros (1,2 mlndevelopment aid, 1,2 mln humanitarian aid) , which is 1/4 of Estonia’s total budget for development cooperation and humanitarian aid. The Ministry of Foreign Affairs also supports the Estonian Centre of Eastern Partnership’s activities in all Eastern Partnership countries, including Ukraine. 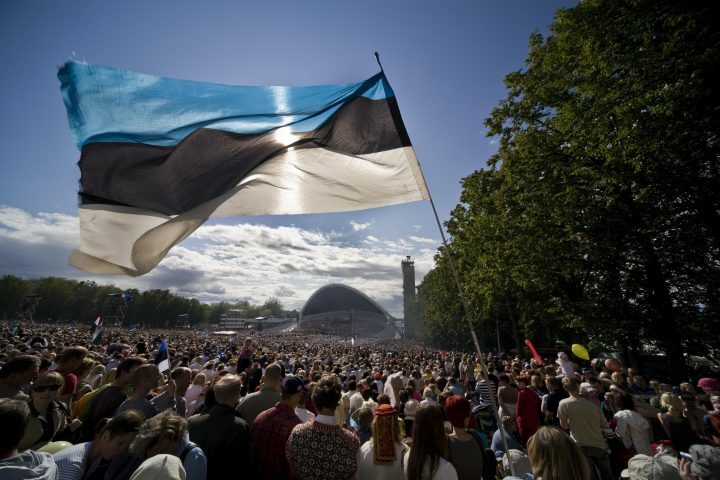 The Estonian Center of Eastern Partnership , which was established in January of 2011, contributes to the development of a democratic society through the training of officials and the passing on of reform experience. Estonia’s development cooperation activities at the regional level have taken place primarily in Chernigov oblast, Ivano-Frankivsk Oblast and in Dnepropetrovsk region, in Lviv. Development cooperation projects have also been carried out in Crimea and Luhansk Oblast. In addition to supporting the central government, regional cooperation can not be forgotten and cooperation in this regard must also continue. In recent years, cooperation has intensified in the field of education. Since 2010, the Ukrainian Foreign Ministry supports student studies on the level of Masters and Doctoral studies in Estonian universities and research and development institutions. Estonia has contributed to guaranteeing peace, stability and security in Ukraine and to a reduction of tensions through the support of the OSCE’s special missions. Since 2014, Estonia has supported OSCE Special Mission to Ukraine with 12 people (currently there are 5 observers on the mission). In addition, the Ministry of Foreign Affairs has supported the OSCE special mission in Ukraine with 90 000 euros. Currently four people from Estonia are working as part of the EU CSDP mission (common security and defence policy) EUAM (EU Advisory Mission) Ukraine. Since the beginning of 2014, Estonia has allocated more than 1.8 million euros as humanitarian aid for victims of the conflict in Ukraine to alleviate the situation of internally displaced persons. Aid is granted mainly through international organizations – the UN High Commissioner for Refugees (UNHCR), the UN Children’s Fund (UNICEF), and the World Health Organization (WHO). In addition, an in-kind food assistance has been sent through the UNHCR (Estonian food aid to Ukraine went to Odessa Refugee Centre) and there has also been reaction to the European Union Civil Protection Mechanism’s appeal and130 000 euros worth of funds for IDPs and victims has been sent out to alleviate the situation. Also, the Ministry of Foreign Affairs has also supported the humanitarian activities of three Estonian NGOs (Mondo, the Estonian Refugee Council, and the Ukrainian Cultural Centre) to help victims of the conflict in Ukraine and internal refugees. In 2017, 1,2 million euros has been allocated for humanitarian aid to Ukraine (International Red Cross Committee (ICRC), United Nations High Commissioner for Refugees (UNCHR), United Nations Children’s Fund (UNICEF) and the Ukrainian representation of the UN Office for the Coordination of Humanitarian Affairs (OCHA)).